Quizz is steady and assignment sure. Coaches like that. Antone Smith is doing well. Look for him to have a big exhibition season. All of the talk is on Freeman. How are Jacquizz and A. Smith doing? He might have a little gas left in the tank. Might as well find out at this point. 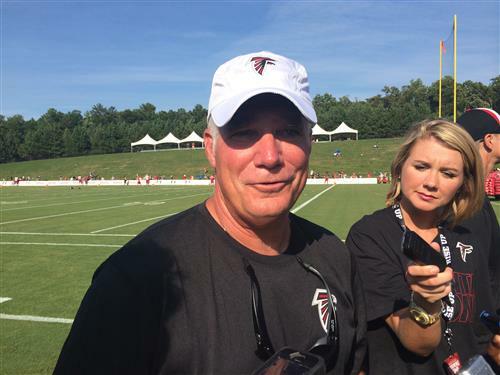 The Falcons will work the wire, but I think linebacker is the major area of concern. They like their plan to play three and four wide receivers more. Will we be looking to get another TE or pass rusher after camp casualties or thru a trade we have 9m in cap room? I'm going 8-8, 9-7 right now. 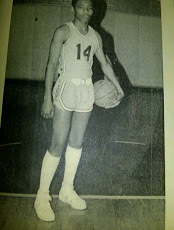 My pix is they go 2 - 14 what is URs? Tay (that's what we called him when played QB for the Spartans) is doing well. They like his size. He's studying hard in the class room and now has to impress on the field. If he can't make the team, perhaps he could help on the practice squad. D Led, how is the local kid Devonta Wright-Glover from Smyrna doing? Any chance on making the team? He has looked good, but I worry about his toughness after seeing him complain about getting popped by a linebacker at Friday Night Lights. You never expect much from rookies. Whatever they can contribute is "extra." How has Devonta Freeman looked? Do you expect him to have a good rookie campaign? Yes. Especially, if the owner called out his team for letting Matt Ryan get popped last year. Do you think the 1st game with the Saints will be a must win game that will set the tone for the rest of the year? Rumph had the nickname cupcake......What was your nickname? Pretty sure, he meant "contenders." Keep it moving. 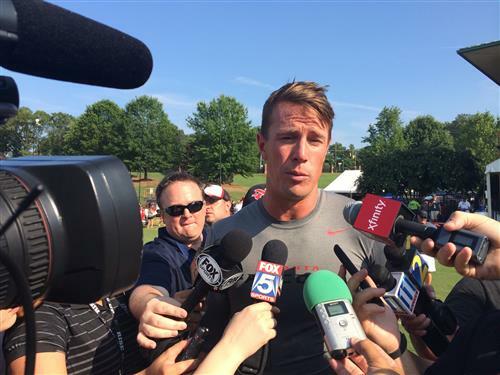 Matt Ryan after practice on Monday. If the offensive line can pass protect if Matt Ryan is in an obvious passing situation. Also, I'd like to see a pass rush. What is the number one thing you are looking for in tonight's game? No very impressive. He's coming off an undisclosed injury and is coming along slowly. If he catches 30 passes and 5 touchdowns, that would be awesome. He'll be a red zone threat. How has Levine Toilolo looked in camp? What type of receiving numbers would you project for him this season? Thanks! He is coming back -- early -- from a major injury as is expected to struggle. He's coming along. Osi Umneyiora is a pro and Jonathan Massaquoi is looking really good. Also, Malliciah Goodman has drawn some high praise from defensive coordinator Mike Nolan. Told the media that he was "a player to watch." I doubt that he would get first team reps. He's the 6th receiver, tops behind Roddy White, Julio Jones, Harry Douglas, Devin Hester and Courtney Roby. He may get some second-team action. Will Reedy get any 1st team reps? Thnx for your hard work. A: DLED: Yes, but they need to get off to a good start. Everyone is pleased with where he's at his in recovery, but Terry Robiskie said he wasn't 100 percent. They will likely keep bringing him along slowly. Do you really feel Julio is 100% healthy? We can't lose him for any amount of time this year. A: DLED: Joe Hawley is doing well. He can get out and help in the run game and is firm in pass protection. He reminds me of Todd McClure. I’m looking forward to seeing James Stone tonight. How's everyone today. Looks like we've got 30 folks watching. Send along some questions!!! Runs hard, cuts well and catches the ball away from his body out of the backfield. He's a great kid, Warrick Dunn has told me. D-Led...what is your visual assumption of Devonta Freeman? Are you selling or buying for a great performance for this season? He's a humble and good-hearted young guy! Do some scouting for us once the college games start!!! I don't know. Those HBO guys are working hard. though.I think they'll come off as a corporate, take care of business crew. Perhaps, maybe a little paranoid and quirky, like most teams. 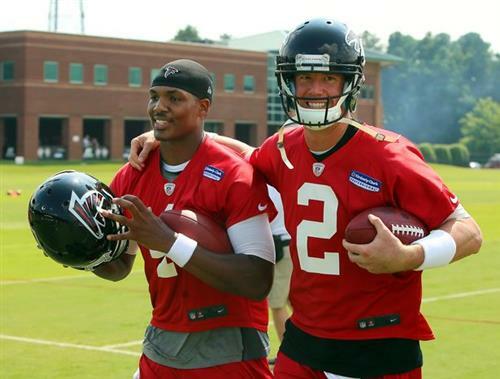 How do you expect the Falcons to be portrayed in Hard Knocks? WE all know reality TV can shape perspectives.